In spite of its well documented financial woes American Airlines is pressing on with its upgrade programme. 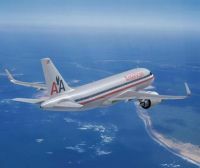 For late 2013 it plans to drop the wide-bodied Boeing 767s and replace the fleet on its transcontinental routes with single aisle Airbus A321s. 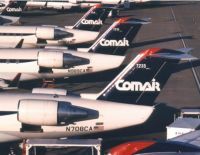 Delta Air Lines is to shut down its Comair subsidiary as it cuts back on what it calls low-margin regional flying. The airline, based in Boone, Kentucky, was established in 1977 and became a fully owned part of Delta 1999. Delta said Comair, which serves midwest and east coast hubs, will cease operations on 29 September. 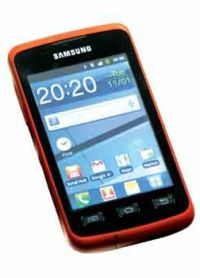 Now it may be that other airlines offer the same function but the innovative low-cost airline flydubai claims to be the first to announce a facility enabling travellers to book and pay for flights on their handheld. Someone at Hertz has been bright enough to realise that it is difficult to find car hire clients in Amsterdam, a city renowned for its canals. The world’s largest car rental brand has launched Hertz Rent a Boat in the Netherlands, allowing customers to explore Amsterdam by water on a variety of fun vessels. 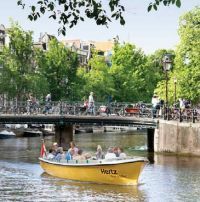 Brought to customers through a partnership with local company Boot Amsterdam BV, Hertz Rent a Boat offers people the chance to cruise the city’s canals from gondolas, luxury motorboats, taxi boats, and open boats, with a selection of larger vessels able to accommodate up to 35 people. They are priced at hourly rates from just €5 per person or €150 per boat. France’s fourth busiest airport, Lyon, has officially opened its new Terminal 3. 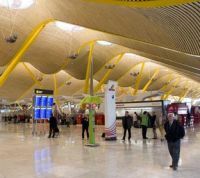 The airport, which handled 8.4m passengers last year is a hub for Air France and also easyJet who, together with Vueling, are a major tenant for the new facility. Iberia and Spanish police authorities have extended their co-operation to speed the movement of passengers through the T4S building at Madrid-Barajas airport, which handles all long haul flights, flights to Africa and to European destinations not included in the Schengen zone, including the United Kingdom, the Republic of Ireland and Switzerland. Go back 30 years and Newham, of which Stratford is part, was one of London’s most downtrodden Boroughs. Yes, its major soccer team, West Ham United, had somehow struggled into the old First Division for a shortish tenure, but in truth it has never really recovered from the bombing of the Second World War, and the demise of the Royal Docks. It has its own airport, London City, a station on High Speed One, which includes Eurostar, and with Westfield, Europe’s largest indoor complex. And best of all, the legacy of the Olympic Park, something for future generations. Early yesterday (Sunday 29 July) your Editor took himself to Excel, well known to all in the travel trade as the home of World Travel Market. At nine in the morning the place had a real buzz about it, the halls, mini indoor stadiums very busy for boxing, judo, table tennis, and weightlifting. Transformed from the Excel that we know. Everyone smiling and Her Majesty’s Forces giving an air of security. The many, many visitors from abroad were very happy. London itself was bustling alive with tourists and sports enthusiasts in huge numbers. 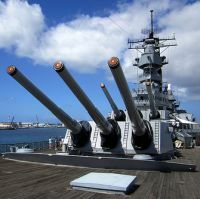 Both nations and commercial organisations were using the opportunity for promotion. Later the Olympic Park itself was crowded with casual visitors in spite of the downpours, a sharp contrast to Beijing where only spectators with event tickets were allowed anywhere near the stadiums. In London a carnival atmosphere was the order of the day. The London Olympic and Paralympic Games have some weeks to go but so far so good. 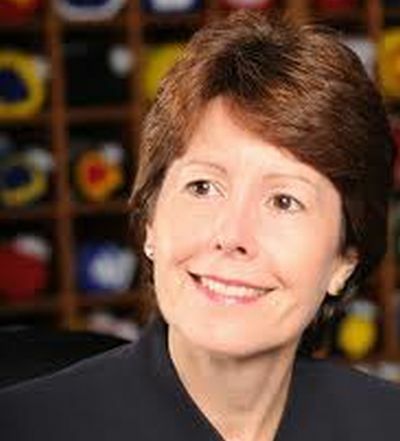 The 2012 Games were won on a promise of sustainability and a heritage for children as yet not born. All the omens are good. BTNews would like to make a suggestion to Mayor Boris Johnson. Create a legacy of difference. Introduce a London Festival every four years perhaps combining sport and the arts. A legacy of his forthright tenure and a reminder of what London achieved in 2012. It will be a commercial success too. What has happened at Stratford is truly a miracle. The European Commission has confirmed that it will decide on 29 August whether to permit Ryanair’s latest bid, its third, for Aer Lingus. 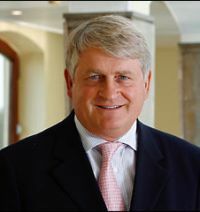 Ryanair’s first offer in 2006 was blocked by the Commission due to competition concerns while the second attempt, in 2008, was rejected by Aer Lingus’ shareholders. Ryanair has a 29.82% stake in Aer Lingus. 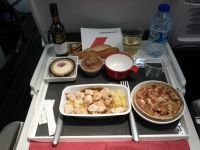 Travellers on ANA flights between Japan and both Europe and North America are to be treated to special culinary delights later on this year. It may have started life nearly 50 years ago as the DC9, the Douglas Aircraft Company’s answer to Britain’s BAC 1-11, but it seems there is life still left in the old twin. 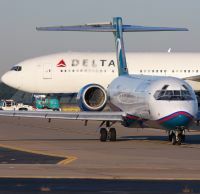 Delta will add 88 Boeing 717-200 (previously called McDonnell Douglas MD95) aircraft to its fleet starting in 2013, an addition that will improve the efficiency, says the airline, of its operations and enhance the customer experience. Work is now well under way with a major upgrading of the technical facilities at Guernsey Airport, although the very poor weather during the spring and summer months to date has put the project slightly behind schedule. 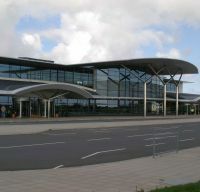 The £80m project to upgrade the runway, apron and safety areas was due to be completed by May 2014. 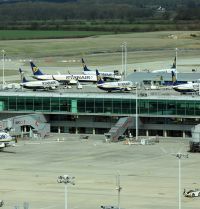 It is the biggest project ever undertaken at the airport since it first opened in 1939. Chek Lap Kop (HKG), Hong Kong’s only airport, reported solid growth in the first half of 2012, serving 27.6m – a 6.9% surge – and setting a new single-day record of approximately 194,000 passengers on 28 April. Cargo throughput remained unchanged at 1.9m tonnes over the same period last year. Singapore Airlines (SIA) will be making network adjustments for the winter season starting 28 October, comprising capacity increases on several routes, reductions on others and seasonal aircraft changes. When Great Britain first occupied Hong Kong in 1841 the island was said to be the home of 7,450 Chinese residents. Today the population of the Special Administration Region is 7m. 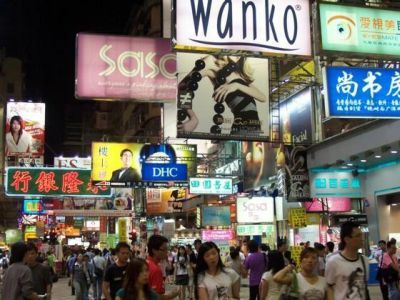 Hong Kong is essentially Hong Kong Island, the base for the British over the years; Kowloon, a sprawling metropolis; and the New Territories, through which you drive to make your connection to China proper. Do we treat the case of Liam Corcoran-Fort (aged 11), from Wythenshawe, Manchester, as a joke for AND FINALLY, or a serious matter that is worthy of COMMENT? Young Master Liam’s ability to get on a Jet2 flight to Rome without being stopped is a very serious matter. Our reasoning for the placement of the story is that AND FINALLY is one of the most read ingredients of BTNews. It seems that the young man, without too much thought, just joined the back of a family group at Manchester International Airport as they made their way through the normal airside access checks. Here the staff were clearly not doing their job properly nor for that matter the Border Authorities. Yes the airport was busy but that is no excuse. He passed through the security checks and somehow was missed at the gate. The matter gets very serious on boarding where neither his paperwork or ID was examined. What is most serious is the on-board pre-flight head count. Perhaps the cabin crew were being hassled by a pilot anxious to meet his slot, but that is no excuse. Someone was not doing their job properly. The consequences could have been very serious. The outcome of the episode is that no harm was done and we have all learnt a lesson. However let us hope that airport staff will not use the incident as an excuse for lack of courtesy when checking passengers, their livelihood, at airports. Flying can still be a pleasure. A baggage collection and delivery service is just one of a number of initiatives currently being introduced by Air France/KLM. Also new are chauffeur-driven transfers between the airport and downtown Paris, and the use of a hotel room for a few hours to relax when on connecting flights. Services are available from €200 for up to four people, and earn customers 400 Flying Blue Award Miles. 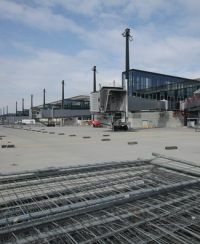 The much delayed Willie Brandt International Airport at Berlin, a development of the old East Germany Schönefeld, has passed the fire safety test. Originally set to open on 3 June 2012, failure to meet fire regulations forced authorities to say it would take a few more months, then to set a new opening date of March 2013. But even this has been in doubt because of complications in routing smoke from the building through subterranean channels. 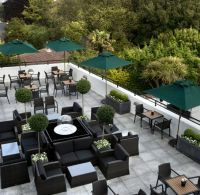 Visitors to St Peter Port (Guernsey) should take note that the Duke of Richmond hotel, now upgraded to 4-star and owned by the Red Carnation Group, has re-opened following a £1.5m stylish and contemporary makeover. It is sister hotel of Old Government House, the only 5-star property on the island, and to several London establishments, including the Chesterfield in Mayfair and the Rubens, near Victoria Station. 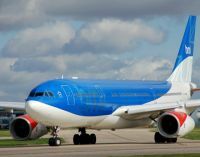 KLM Royal Dutch Airlines is to commence a Harare service on 29 October 2012. 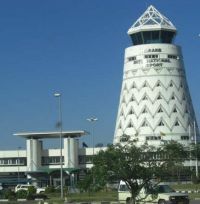 The Zimbabwean capital will be served in combination with the new KLM destination Lusaka (Zambia). 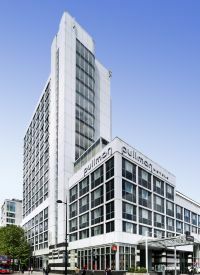 Accor has rebranded the Novotel London St Pancras under its Pullman offering, the first UK property for the business traveller oriented brand since its re-launch in 2007. The 312-room hotel is currently undergoing a soft re-launch following refurbishment, with an official unveiling due for September. Its position is ideal, situated on the Marylebone Road halfway between St Pancras and Euston mainline stations. Gatwick Airport could secure a new direct link to Moscow early next year after British Airways, easyJet and Virgin Atlantic have all applied for the rights to operate services from London’s second busiest gateway to the Russian capital. With the demise of bmi the carrier’s twice daily slots are up for grabs. After expanding its presence in the Australian market during the past year, Hawaiian Airlines is now taking the next step in its strategic growth in the region by revealing plans to open flights to New Zealand with non-stop service between Honolulu and Auckland. 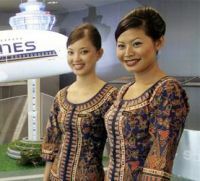 The route will operate three times weekly with a 264-seat (18 Business Class and 246 Economy) Boeing 767-300ER from 13 March 2013 and will see the airline compete directly with Air New Zealand. In the latest stage of a long legal battle, the Court of Appeal last Thursday upheld the Competition Commission's 2009 ruling that BAA exerted a dominant hold on airports in Scotland and the southeast of England. In April the group agreed to sell Edinburgh airport to Global Infrastructure Partners, owner of London's City and Gatwick airports, for US$1.3bn.